WPVI (Philly) Anchor Jim Gardner is on vacation in Israel. On Christmas Day, Gardner was touring the tour the historic Masada fortress in Israel, when he ran into Jeopardy! host Alex Trebek. Gardner snapped a selfie and posted it. 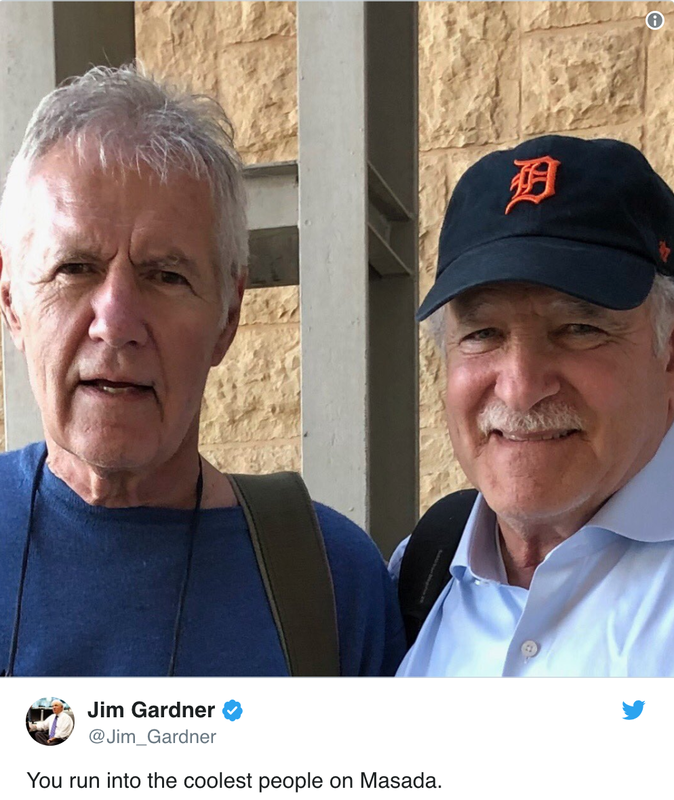 While many thought it was cool that the legendary Anchor and the game show host met up on the other side of the world, not everyone liked the fact that Mr. Philly Anchorman was wearing a Detroit Tigers baseball hat. “I love that tweeters get exercised about things like that,” Gardner added. Just remember Jim, on social media there are always haters and most of the time it is always because there are just jealous.